The ORD RCC’s former smoking room is now the “quiet room” with big barred out cell phone logos. It is quiet, and very pleasant. T-Mobile is FREE at the RCC. FREE! Finally. I’ve been hassling UAL through 1kvoice etc. and the RCC comment cards since about 2001 – long before they even had T-Mobile – to provide free 802.11 to their members. Other clubs do. They got into this big provisioning contract with T-Mobile (or something) and years of comments went no where. It has been about 5 years, maybe the contract is up, but for whatever reason finally there is free WiFi at the RCC. Yay! 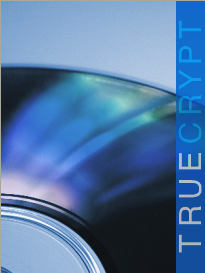 Truecrypt 5.1a supports sleep mode! YAY! 5.0 did not, it would crash entering sleep mode. It’s a cool thing, but crashing isn’t. I like the idea that if my laptop is stolen, my info is very likely secure, but not so much so that I can live without sleep mode, even risking a freezy RAM-cicle recovery. I sleep it getting on and off planes all the time and now I can. I’m very happy with this release.